Excellent. We will be back. Delightful position and. beautifully furnished and equipped. Very clean and well maintained property. Host very accommodating. Dr Jonathon and Mrs Karen W.
A beautifully maintained property, great for families, including the dogs! The decor is sympathetic to the original features of this charming cottage and the gardens are spectacular. It has an amazing feel, a real piece of history that we found endearing and very special. 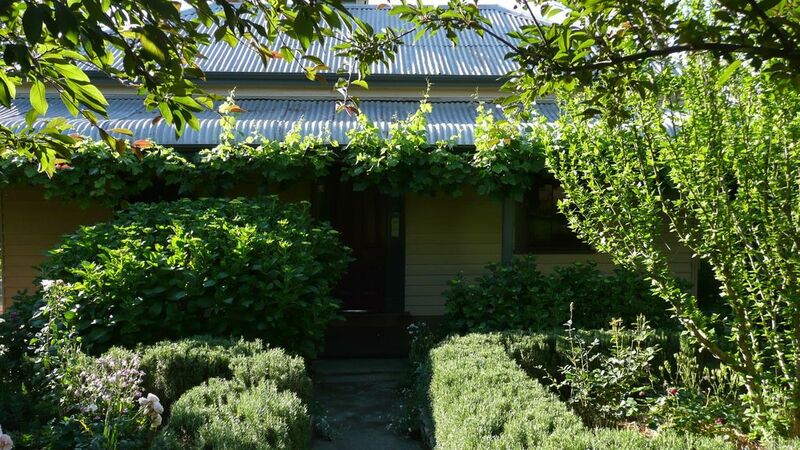 The location is perfect, only a few streets away from the heart of Beechworth. We had a wonderful stay at Indigo Cottage. Thank you. The house was cool on a ver hot day and very welcoming for us and provided everything we needed. Great house and garden. Our dog loved exploring while we made the most of the lovely restaurant options. Great part of our holiday. Really appreciated the wifi included with our stay. Beautiful cosy cottage with everything you need at your fingertips. A thoughtful host and great location in Beechworth. Very relaxing. Our dog loved the gorgeous garden and explored every corner of it. We had 3 lovely days at Indigo cottage. The rooms were generous and well furnished, beds comfortable, fire ready for lighting, bathroom warm and well appointed. Kitchen had good coffee and everything else you could possibly need. The cottage gardens are well planned and pretty, and there are lovely views from all aspects. Walking distance to eating, shopping and tourist walks. Very quiet with lots of birds, good verandah for relaxing. Perfect mini break especially around autumn when the leaves are spectacular. Exceeded expectations - highly recommend.